I Have a Sixth Sense....Really? Well, yes. In a way. Let me explain. Let’s play a game. If you put your hand behind your back, how do you know where it is? Where is it if it was in the air and you can’t feel it? This is called proprioception and is your sixth sense (not like the movie). There is no supernatural element to this. For people who suffer from stroke, they often have difficulty with balance and coordination during their recovery. Additionally, proprioception is also impaired by diseases or injuries affecting the musculoskeletal system, such as those treated by chiropractic. “Don’t wait until you are all screwed up let’s try to prevent health problems, so let’s have a look at this in a holistic way and from the perspective of innate intelligence”. It turns out that there are billions of messages sent up your nerves every second to your brain that tell it where your body parts are, and sends down appropriate commands to do jobs, like if you want to walk in a straight line or go dancing. Therefore if the brain receives bad messages, it sends out bad commands. It will do this to all the parts of your body. Think what might happen if a bad command went to your stomach or back muscle? Your body wants to be healthy and knows what it’s supposed to do. However if you are subluxated your body cannot do its job properly. This is why you need regular care to keep your subluxations at bay in this tricky world we live in. 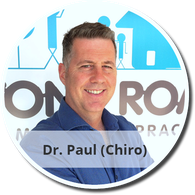 Lyons Road Family Chiro and Dr Paul (Chiro) have been serving the health care needs of Sydney's Inner West, Drummoyne, Haberfield and Five Dock communities for over 26 years. 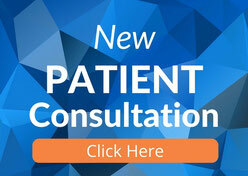 Paul is originally from Canada and has obtained high levels of tertiary qualifications from both Canada and Australia. Paul is a wealth of information on all things natural, on fitness, long term health, nutrition and of course, chiropractic. Follow us on Facebook, Youtube, and Google+. I did not know how powerful our sixth sense is. Its an interesting read.